Hurt In A Car Accident? 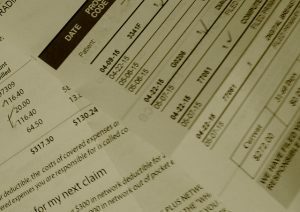 How Are My Medical Bills Handled? It’s one of the most common personal injury questions. How will my medical bills be handled? How you approach this issue can greatly impact your claim. Personal injury victims may have many worries. How bad are my injuries? Will I heal? Are my injuries permanent? Will I be able to work? How will this affect my family? Questions are normal. We understand the worries an injury brings. We want our clients to focus on treatment and healing. If you are hurting, you need to see a doctor as soon as possible. Why? You need to see a doctor quickly for both practical and legal reasons. From a practical standpoint, quicker treatment usually means quicker healing. And, some injuries can even become permanent if medical care is delayed. From a legal standpoint, delayed care can harm your claim. Insurance companies and their lawyers use delays in care against you. They will argue you must not be hurt too badly. They may even argue something else must have caused your injury during the delay. We have heard all their arguments. While we know how to deal with them, we also understand the difficulties they can create for your claim. We understand you may have valid reasons for the delay in medical care. Maybe you could not afford to miss work, did not have transportation to the doctor or lacked health insurance. While we understand these reasons, we also know insurance companies will create arguments to use any delay against you. If you are able to begin care, why delay and give the insurance company arguments against your claim? This may be the most common misconception about personal injury claims. Many insurance adjusters actively create this misconception. Why? The insurance company begins to investigate the claim as soon as it is notified. It is looking for reasons to deny, dispute or reduce your claim. Some adjusters send documents for you to sign authorizing the company to pry into your medical history or background. Don’t sign these documents without first seeking legal advice. Other adjusters ask you to send records and bills as soon as you get them. In both cases, the adjuster may lead you to believe the insurance company will be paying your bills upon receipt. That’s wrong. The insurance company is gathering information about your claim. If the other driver had liability coverage, the insurance company will only pay this coverage one time and it will want a release prohibiting you from making additional injury claims. The other driver’s liability insurance does not intend to pay individual bills as incurred. Ultimately, you are responsible for your medical bills. Your lawyer may pay certain medical expenses from your settlement but it is your money being used. Many attorneys fail to explain this issue to their clients. And, clients can suffer as a result. In the following paragraphs I provide a few examples of how clients can suffer. Because some clients don’t understand their responsibility for medical charges, they actually tell their own health insurer not to pay them. This can cause delays in care. This can also cause some healthcare providers to place liens on your recovery. Those liens may be greater than the amount your health insurer would have paid. Another example involves settlement mill lawyers who rarely act in their client’s best interest. Some of these settlement mill lawyers have financial arrangements with chiropractors who run up charges needlessly in cases where recovery is limited by a lack of automobile liability coverage. In these situations, you may settle for the available coverage only to have the settlement mill lawyer and chiropractor receive the bulk of the money. That is awful and unjust. This is a subject area I’ve discussed many times in prior articles. It’s an area where a skilled and experienced attorney may greatly benefit his or her client. The law related to reimbursement and subrogation of medical payments can be complex. Many people have private health insurance while others have coverage provided by government programs such as Medicare or Medicaid. In other situations, a hospital has filed a lien for its charges. Or, maybe some of your bills were paid by medical payments coverage on one of the insurance policies held by someone involved in the wreck. Medical payments coverage is different than liability coverage and creates unique issues. Each situation involves different legal rights. A lawyer who understands these laws and is willing to work hard can often save significant money for their clients. We consider this an important part of our work. We are disappointed that too many lawyers neglect to help clients maximize their recovery by saving on these issues. Recently, we heard that one northern Alabama settlement mill lawyer has even been charging his clients additional percentages to help with liens and subrogation. That’s not just unjust but also clearly unethical. How are medical bills handled in personal injury cases? The issues are complex. If you have suffered a personal injury and need legal counsel, search for an attorney with special expertise in handling these claims. And, search for an attorney willing to aggressively advocate to maximize your recovery. Look for an attorney able to discuss these issues with you throughout your case. These issues can have a tremendous impact on your eventual recovery.